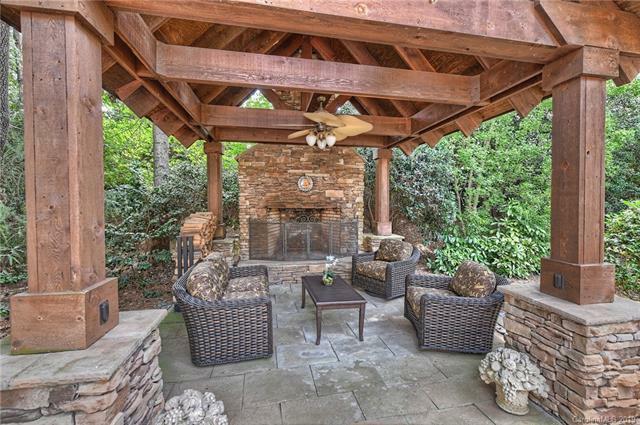 Upon entering this home through the private gated driveway, you will find yourself in one of the most beautiful backyards in Ballantyne Country Club. Custom Blue Haven salt water pool w/rainfall & travertine decking. Extensive landscaping that includes a stone waterfall feature. 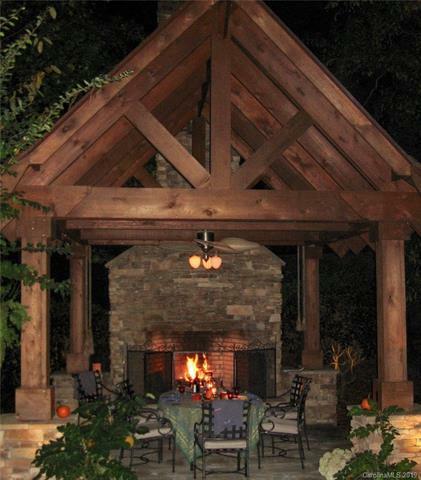 Cool nights you can lounge by the wood burning fireplace in the outdoor loggia. Large kitchen w/gas cooktop, double ovens & breakfast nook surrounded by windows. Open great room w/coffered ceilings, gas fireplace & sliding french doors leading to pool & patio w/updated beadboard ceiling. 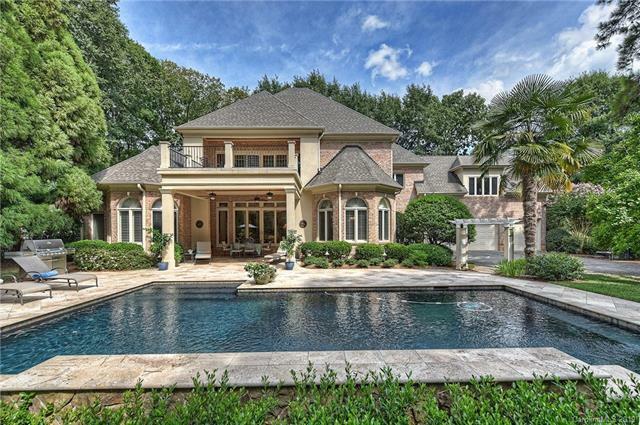 Coveted first floor master w/sitting area, luxurious spa bath w/walk-in shower & double doors to master closet. 3 en-suite bedrooms upstairs each with private bath. Office/media room with added terrace overlooking lush backyard. Mudroom/laundry room with "hidden" water closet and glass door leading to backyard. Back stairs lead to the oversized bonus room with bar area. Full, shelved upper attic & lower walk in attic.